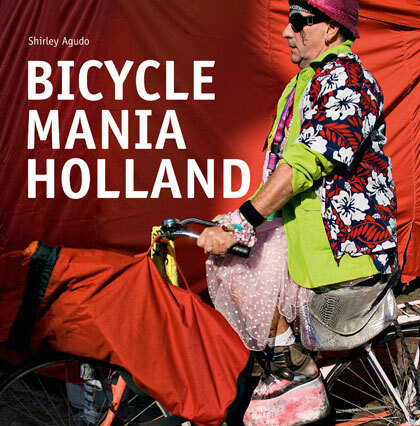 The title and cover picture promise an eccentric and lighthearted peek into the Dutch love affair with all things on two wheels. What you get is a chunky little picture book with some nice photos and a few pages of bicycle facts and trivia. If you’ve ever wanted to know how many bicycles there are in Holland (approximately 18 million), or that there are 29,000 kilometers of cycle paths throughout the country, then this might titillate. And if you’re curious to know the reasons why cycling is predominant in the Netherlands (all seven of them), you’re likely to enjoy thumbing through this. But beyond the stats (and there are oodles of boring ones) and comparisons between cycling policies both here and abroad, there’s not much to hold the reader’s attention unless you’re a hard-core cycling fanatic, and even then it might be a little too pedestrian. It is however good to look at and I sometimes found myself wondering what pretty part of Holland I was looking at, and wishing the author had referenced the photos with their locations. It’s the kind of book you might take off someone else’s bookshelf to flick through and it certainly has charm, but probably not to a native, or a long-term expat who sees it all for real on a daily basis. Nevertheless, if you fancy a quaint addition to your novelty reading collection then this has appeal.